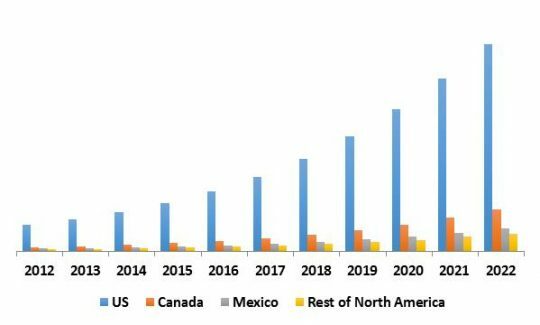 According to a new report North America Security Analytics Market , the market is expected to attain a market size of $4.9 billion by 2022, growing at a CAGR of 24.0% during the forecast period. 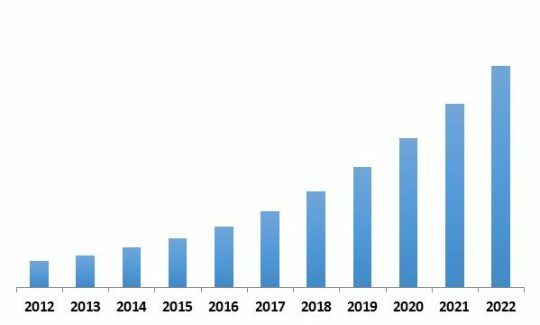 North America Security Analytics Market Revenue Trend, 2012-2022 ( In USD Billion) The governments around the world have laid down stringent regulations that organizations must adhere to. The growing pressure from the government and state regulations on data privacy and compliance has made it a necessity for stringent security measures to be in place within the organizations. The need for effective data security measures is a pressing demand, forcing organizations to identify effective measures to counter cyber-attacks. Guidelines are laid down by the authorities with data security as a priority, which would eventually curb activities that would threaten personal lives of people in different forms, may it be as employees, customers, or voters. Web security analytics with a market share of around 38% holds the dominant position in 2015. Endpoint security analytics with the ongoing technological adoption for End point security, would witness the maximum CAGR of 26.2% during the period 2016-2022. Based on the deployment type, Cloud based deployment held the dominant position throughout the analysis period. Government & defense sector with market revenue of $219.8 million in 2015, has dominated the North American security Analytics market. The maximum growth is witnessed in IT & Telecom sector, and exhibit CAGR of 26.6% during the forecast period (2016-2022). In North America, U.S continues its dominance in this market with a market size of $819.5 million, in 2015. The Canada market is expected to grow at the fastest growth rate of 25.1% CAGR during the forecast period. 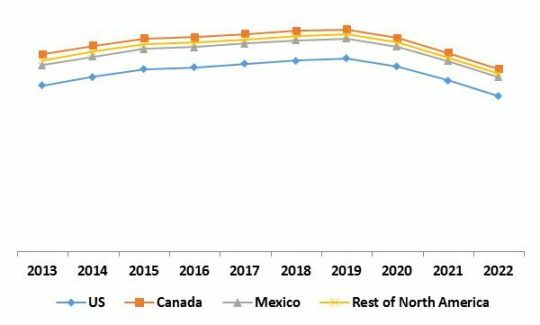 The report has exhaustive quantitative insights providing a clear picture of the market potential in various segments across the countries in North American region. The key influencing factors of the North America Security Analytics market have been discussed in the report along with the elaborated company profiles namely IBM Corporation, HP Enterprise Company, Oracle Corporation, Fujitsu Limited, Microsoft Corporation, FireEye, Inc., BAE Systems, Logrhythm, Inc., Alien Vault, Inc. and Open Text Corporation.